Assassin’s Creed Odyssey is 11th mainline installment in the Assassin’s Creed franchise. The series not only has more than a lineage of consistently producing popular open-world stealth action adventure games but also in innovating the trend of open-world free-running parkour, tower climbing map unlocks, and auto-tracking combat mechanics that overwhelmed the gaming industry for entire console generation. Despite the initial critical acclaim and routine commercial success of its installments, the franchise was unable to maintain excitement surrounding it. Due to its annual release structure and incremental improvements, by 2014 the Assassin’s Creed franchise had slowly reached stagnation and left its fans disillusioned. Once it became apparent that franchise fatigue had set in, Ubisoft finally realized their folly and took a yearlong break from its annual cycle of release, and in 2017 they released Assassin’s Creed Origins; an installment that brought significant changes to the Assassins Creed formula and managed to reinvent the series, as a result of which it gained critical and commercial acclaim across the board. Unfortunately, instead of taking their time to develop the next installment, Ubisoft has pumped out another Assassin’s Creed game less than a year since the last one. Now the question is whether Assassin’s Creed Odyssey offers enough changes to the new formula established in Assassin’s Creed Origins or has the franchise fallen back into its old routine of incremental changes that had caused franchise fatigue to set in mere 2 years ago? Despite the fact that there was less than a year’s space between the game and its predecessor, it is clear from the scope and scale of the game that Assassin’s Creed Odyssey has been in development for couple of years. And while it certainly follows the template laid out by Assassin’s Creed Origins, Odyssey does differentiate itself by adding to and changing certain gameplay and presentation elements. One of the major changes Odyssey makes is a greater emphasis on role playing mechanics from the RPG genre, even more so than the level and loot focused gameplay loop introduced in Assassin’s Creed Origins. These changes can be seen everywhere from progression and leveling to its approach to gear, dialogue and NPC interaction; so much so that Odyssey feels less like an action adventure game and more like an open-world action RPG. Another thing that Assassin’s Creed Odyssey does differently is that it breaks away from the singular focus on Assassins vs Templar or Freedom Fighters vs Shadow Elites, and adds the element of factions into the fray. With Greece’s states divided in war, Odyssey lets players manipulate the power system and aid the other faction invade the other. This not only brings up opportunities to destabilize regional powers but also introduces army skirmishes to Assassin’s Creed’s gameplay repertoire. Odyssey also lets players take the battle to the sea. Unlike the very limited and barebones seafaring missions in Origins, Assassin’s Creed Odyssey features the return of full open world ship sailing and naval combat gameplay from Assassin’s Creed IV: Black Flag; complete with seamless docking, ship boarding and sea shanties as well as system for customization and upgrading of ship and crew. Last but not the least, Odyssey’s most apparent change from Origins is that the game has changed its setting from sandy deserts of ancient Egypt to the grassy islands of ancient Greece. A new setting brings with it new types of clothing designs, new architecture, new cultural nuances, new historic figures, new terrain and a whole new story. Though Assassins Creed Odyssey is a follow up Origins, canonically it acts as a prequel to its immediate predecessor. Set in 431 BC Greece, about four hundred years prior to the events of Assassin’s Creed Origins, the game recounts a fictionalized history of the Peloponnesian War, which was fought between the city-states of ancient Greece. As is the case with most Assassin’s Creed games, the main narrative thread in Odyssey is focused less on mythologies and more as a mix of political intrigue, historic wargames, science fiction, secret societies and family drama, all of which is intermittently mixed with a dash of modern-day storyline continued from Origins. At the start of the game player is given a choice between Kassandra and Alexios, to take the reins of either a female or male mercenary, who travels through Greece to uncover the mysteries behind personal and political conspiracies in the backdrop of a war between Athens’ Delian League and the Peloponnesian League led by Sparta. 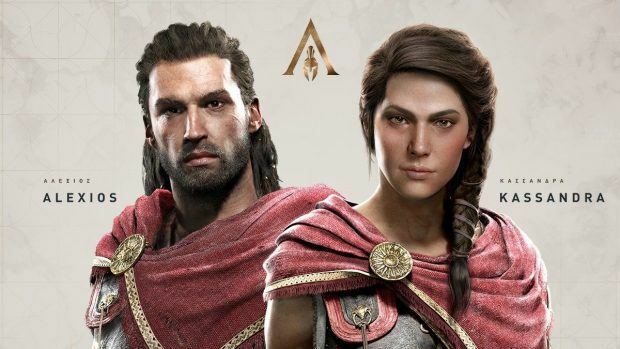 However, unlike the experience of playing as Jacob and Evie Frye in 2015’s Assassin’s Creed Syndicate, Alexios and Kassandra are not separate characters with defined individual story arcs that are experienced separately or concurrently in canon. With their difference limited to purely cosmetic change and variation in dialogue delivery, the choice between them is more akin to selecting between the default Male and Female Commander Shepard in the Mass Effect trilogy. 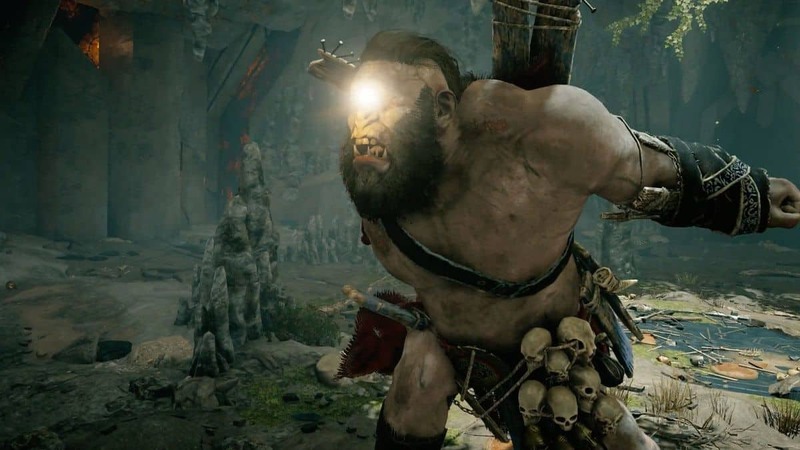 While its core progression loop remains about finding a quest giver, killing or retrieving the target and then finding the next quest giver, as was established in previous Assassin’s Creed games, Odyssey places a lot more focus on filling the gaps between each quest with RPG mechanics than the previous games in the franchise. Similar to Mass Effect, Odyssey allows players to choose their verbal response and certain actions through a dialogue tree and the game also presents options to start romantic interactions with NPCs through a system also reminiscent of how relationships have been represented in Bioware’s RPG franchises. However, unlike those RPGs where the core mechanic revolves around player choice, most of these options in Assassin’s Creed Odyssey that allow the player to select different responses and interactions are primarily there to offer an illusion of greater choice, as most only result in shallow changes in dialogue and a small cutscene which usually does not organically result in any deep relationships. On the other hand, there are a few decisions sprinkled around the game, choices that the player can make near the end of certain mainline quests and side missions that have lasting consequences which can not only affect how the story progresses but can also change the game world. This is supplemented by incorporation of a notoriety system, in which bounty will be placed and mercenaries will hunt the character if the player commits crimes like killing or stealing from NPCs. 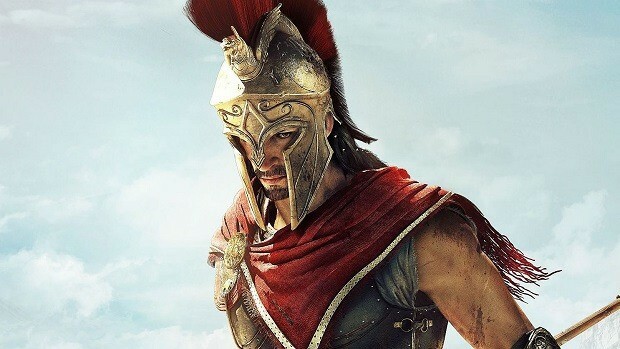 In addition to the new RPG choices, Odyssey also brings back a lot of crafting, gathering loot and earning XP from completing quests to level up the character and upgrade his or her skills on 3 separate skill trees, which include Hunter skills that deal with bows and arrows, Warrior skills which enhance offensive and defensive combat abilities, and thirdly the Assassin skills that upgrade stealth related abilities. Most of the abilities unlocked through the skill tree supplement the ‘hit box system’ of hack and slash combat mechanics that were introduced in Origins to replace the previous Assassin’s Creed formula of ‘paired animation system’ which followed set of predetermined animations based on player inputs and scripted AI movements. The player character is able to equip different weapons ranging from swords, daggers, spears, maces and bows, which appear as loot and differ in their damage dealt, speed and range according to their category and rarity. These weapons can only be equipped if their level is equal or less than the player’s level. Similarly the difficultly of an enemy in Odyssey does not come from his or her abilities or tactics but is also determined by their level number, which defines the amount of health, defense and attack power they have. This renders encounters with higher-level enemies frustrating and drawn-out, and makes combat less about skill or strategy, and more about matching your character’s number with the enemy’s number. As with Origins, the enemies and quests around the world map are gated by levels, which not only incentivizes mindless grinding to progress further but also disincentives exploration. However Odyssey goes even further than that and introduces a system which auto-levels all previously lower leveled enemies and quests to match the player’s level. This ultimately goes to rob the players of any sense of achievement or progression they might experience by gaining levels. 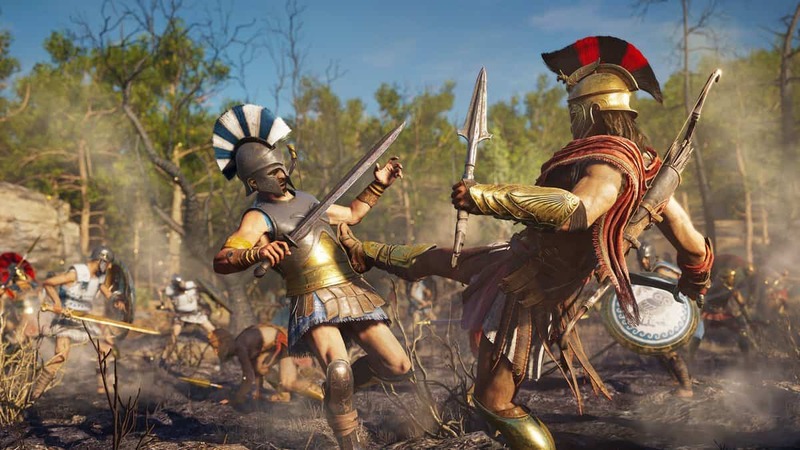 Fortunately Assassin’s Creed Odyssey manages to take this combat system beyond the constraints of one-on-one or group battles found in Origins, and introduces the Conquest system to organically make all the prerequisite action of an Assassin’s Creed game a central part of simulating the Peloponnesian War that divides the Greek states between the influence of either Athens or Sparta. Each state has its own army, leaders, resources and military influence. The leaders who are in trouble will offer contracts to get help, and the player character can choose to take on those contracts to destabilize the ruling authority by taking down some regional leaders and their resources to make them weak enough for the enemy to start its invasion of that state. Once the military establishment is destabilized a special mission called “Conquest Battle” will open up. A Conquest Battle allows Kassandra or Alexios to accompany their ally army into a large-scale battle with the enemy army. On the battle ground the player will face scores of enemies and commanders which the player has to help defeat in order for them to win the battle and conquer the state. In addition to these battles Assassin’s Creed Odyssey also features the return of naval warfare, where the player is given access to a Hellenistic-era ship and allowed to explore the Aegean Sea surrounding the warring Greek islands. The main gameplay mechanic of navigating the ship remains the same from 2013’s Assassin’s Creed IV: Black Flag. This is includes everything from manning the ship and upgrading the hull, weapons and crew to engaging in battles through volley fire and boarding a downed and damaged ship. However, due to the constraints of 430 BC era Greece, the warships in Odyssey conduct naval warfare with arrows and spears replacing guns and cannons from Black Flag. Since the Assassin’s Creed franchise has played a big role in the modern popularity of the open world genre, it comes as no surprise that Odyssey allows players to freely roam and explore the massive open world representation of ancient Greece. While its role is somewhat lessened due to the nature of architecture, players can utilize the series’ patented parkour mechanic and quickly traverse and climb buildings and structures. Similar to how ancient Egypt was portrayed in Origins, the world of ancient Greece in Odyssey is displayed as one gigantic map which can be completely explored without a loading screen in sight, and is home to all of the Greek islands and Aegean Sea. While this huge map is populated with towns, cities, encampments, forts and caves, a large percentage is huge empty stretches filled with hills, mountains, deserts and forests as well as expanse of the sea water between most of the states. In order to facilitate players into experiencing the breadth and detail of its huge world map, Assassin’s Creed Odyssey offers a choice between “Guided mode” and “Exploration mode”. Guided mode acts similarly to the past Assassin’s Creed games where a marker clearly indicates location of next quest/target, however Exploration mode offers a more organic way of exploring the world by giving clues to next destination and allowing player to deduce the location by NPC conversations and reading the in-game map. This Exploration Mode functions quite well in immersing the player in the world and this is in no small part thanks to the very competent voice acting by most of the main cast, as well as the beautiful and vibrant Greek vistas and small details including an array of wildlife ranging from dogs, goats, deer and dolphins to wolves, boars, snakes, lions and sharks. Considering the detail and scope of this world, the game retains fairly good amount of stability, with only an occasional glitch like pop-in and framerate drop experience here and there throughout the length of its long campaign. Playing through the game’s main story arc alone can take upwards of 30-40 hours; couple that with a huge map to explore with hundreds of side quests to complete, mercenaries to defeat, assassinations to complete, tons of weapons, armour and ship customizations to unlock, as well as the potential of replaying the entire game to see its multiple endings, and you have potential for hundreds of hours’ worth of gameplay stuffed within the world of Odyssey. However, quantity of gameplay is not always a great reflection of its quality. Those who dont like the typical busy work and generic sidequests, that have become a norm in modern open-world games, will likely not find the content here engaging. Same goes if you preferred the pre-Origins verticality of Assassins Creed games or their straight forward action adventure gameplay, as like Origins, Odyssey is less tactical and puts more emphasis on RPG mechanics in its approach to loot, action and stealth. On the other hand, those who liked the gameplay and feel of Assassin’s Creed Origins will feel right at home in the world of Odyssey. Since the core gameplay is virtually unchanged from Origins, those who loved that game and are not looking for anything drastically new are guaranteed to like what Odyssey has to offer. Although Assassin’s Creed Odyssey manages to add a few gameplay elements like naval combat and RPG choices to the mechanics introduced last year in Origins, they are no game changers. While they certainly enrich the gameplay, at the end of the day these amount to incremental changes that do not change the core experience enough to differentiate itself from Assassin’s Creed Origins. FIFA 19 Physical Sales Fallen Due To Fortnite Overlap?